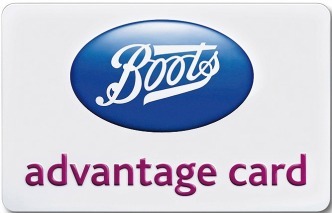 Instead of just collecting 4 Advantage Card points when you shop at Boots, you will get a lovely bonus this weekend. From now through until 29 January (in store) or 30 January (if you’re shopping online) you’ll be able to earn triple advantage card points on your purchases. 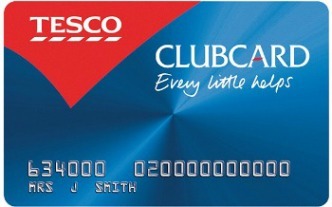 To be eligible to earn the triple points you need to spend at least £30 if you’re in store or £50 if you’re an online shopper. So it’s payday weekend and a double whammy with a triple points weekend at Boots too. Boots are seeing savings on some of their beauty buys including Rimmel Scandaleyes Reloaded Mascara, was £6.99, now £4.49 and Nip+Fab Glycolic Fix Extreme pads, was £14.95, was £7.45, now £5.98. If there are any existing points promotions they won’t be multiplied, but you’ll still be able to tot up 12 points per pound with the special weekend triple points offer. 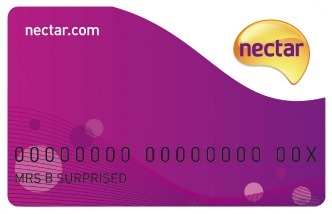 You won’t be able to collect triple points on Boots Opticians, Hearingcare and airports, as well as NHS prescription items, infant milks (up to 6 months), gift vouchers/cards, postage stamps or carrier bags, gift boxes and delivery charges. 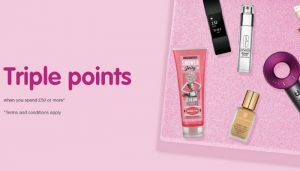 As an added bonus, lovers of Soap & Glory get a free gift when they spend over £11 on selected items. The free gift will either be a Soap & Glory™ Galentines Gift Bag or a Soap & Glory™ The Righteous Butter Diamond Edition (valued at £10). Even if you don’t want your free gift, you can either hang onto it for a gift or flog it on eBay for a tidy profit. On top of the tips to help with boosting your points, you can learn how to collect more points at Boots.